Meh. I think because I love the original so very much, the addition of zombies seemed contrived and stupid. For those that either didn't like or couldn't get through the original, this will probably be a good place to start, as you can get the gist of the story without all the old-time verbiage that seems to trip many people up. 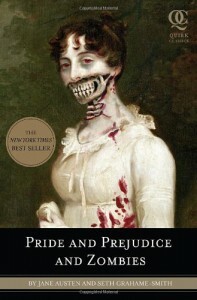 But if you are a die hard Pride and Prejudice lover like I am, you will likely not enjoy this book.